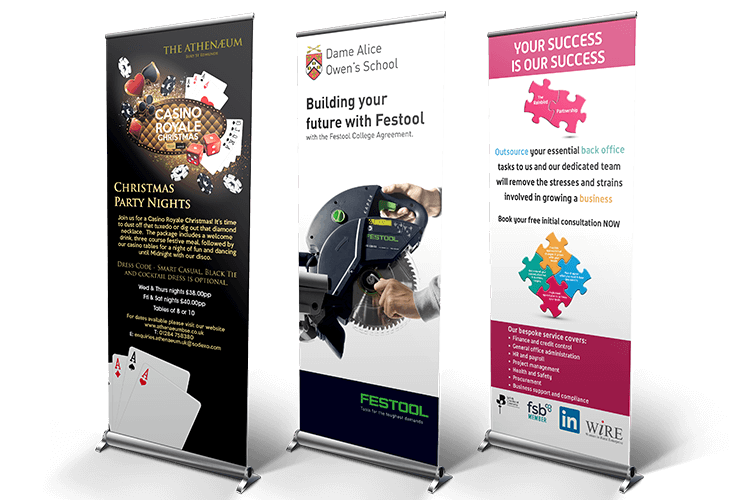 If you’re looking to create a quick and professional looking display area, our roller banners are the ideal choice. 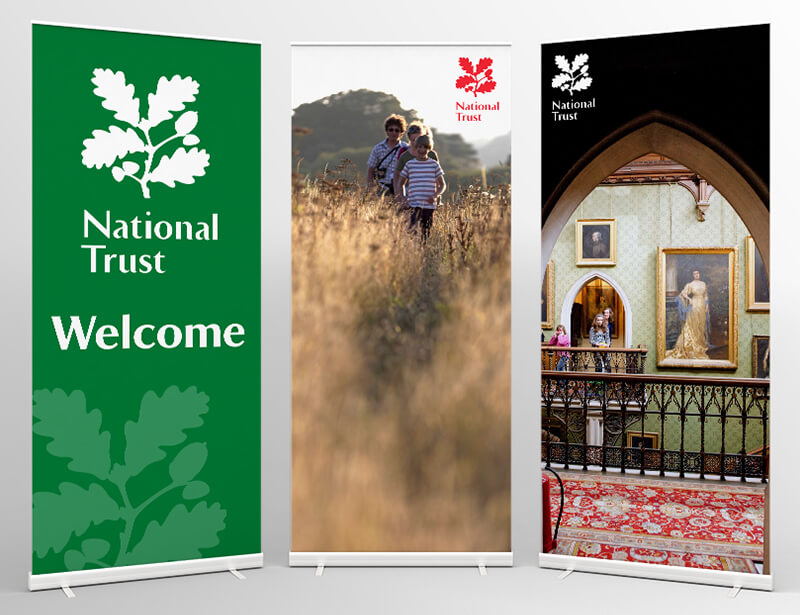 Perfect for exhibitions and conferences, these lightweight pull-up banners can be put up in seconds, creating an instant and striking impact. 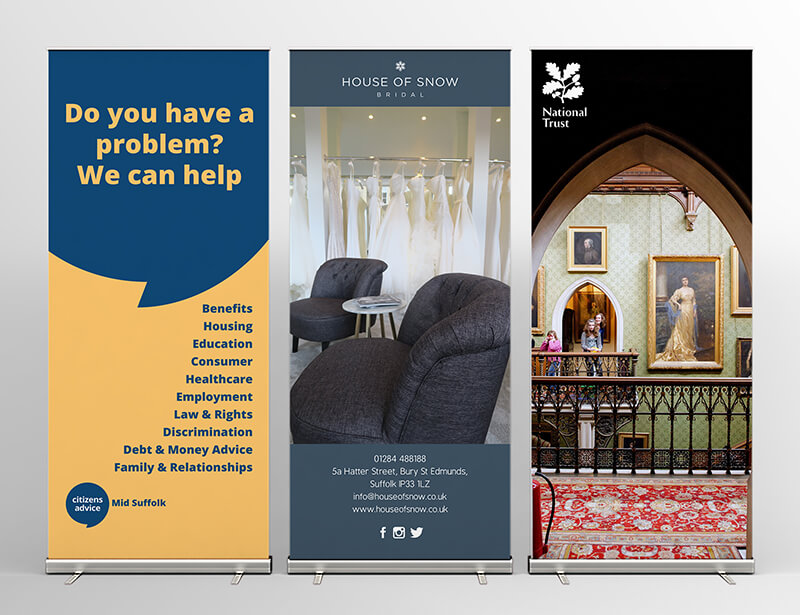 Ideal for highlighting a product or service, or just raising awareness of your brand, our roller banners can really make your message stand out at a show, providing a particularly cost-effective marketing solution. With their large display area they can, nevertheless be easily transported from show to show, and take up little floor space - invaluable when room is at a premium. Available in a range of widths, the banners create a big impression, and when placed next to each other can produce a strong visual impact. We also offer a choice of stand types depending on your budget. Not all roller banners are created the same and we can guide you as to the various options we have available. Drop in to see us at your local Kall Kwik or give us a call, we'll be happy to help. Whether you want one or one thousand roller banners we can help you. With no minimum order quantity you can have exactly what you need. 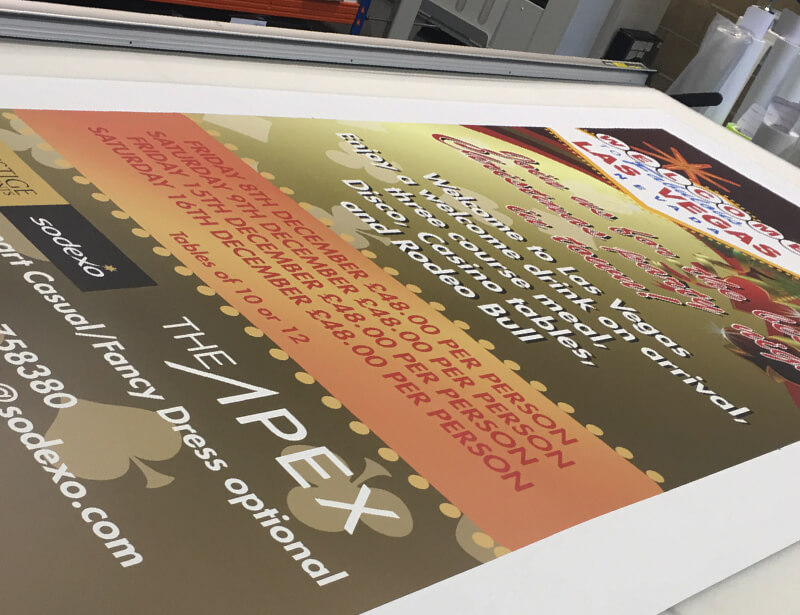 Any size, any colour with your unique design and branding our pull-up roller banners can be provided to meet your deadlines. And the real beauty of a roller banner? When the event is finished simply roll it back into its base, pack it up in the supplied case, and off you go. An easy solution that can be used time and time again. Call us now to find out how our roller banners can help your business to stand out.